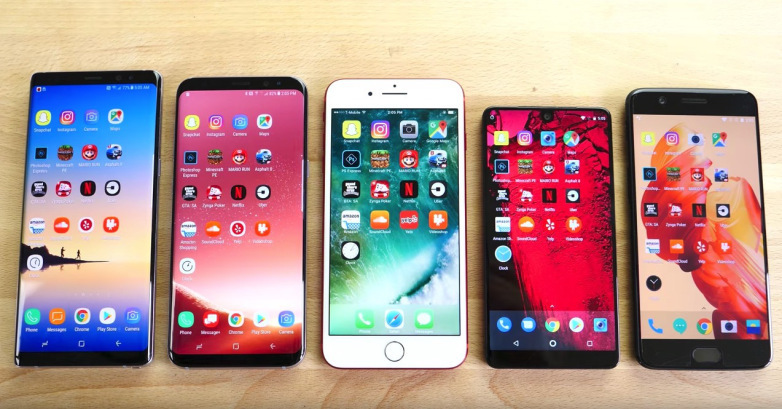 Home / Tech news / iPhone 8, iPhone X or Galaxy S8: Which One Is The Best for You? In fact, there are significant differences between the iPhone 8 and iPhone X. Until the iPhone X finally became available some weeks back , iPhone 8 sales were very slow. Now that users can compare, I expect sales of both models to pick up steam. Many users who waited for the iPhone X have found the new design harder to use and less satisfying.The camera is better, but many miss the familiar Home button. To some, the new iPhone looks and feels like a Samsung Galaxy phone, and they don't like that. The iPhone 8 may be more appealing to those customers. As for the Home button, though, Apple has been messing with it for the last year or two -- the iPhone 7 and 8 have different Home buttons. What's available now is not really a button. Many users prefer the feel of the old time, real button. However, they have no way to get it on newer devices. Even those who find themselves confused by the new iPhone X design will become used to it in time and possibly even come to like it. The real question is, why did Apple find it necessary to frustrate the user base and mess with its already-winning design? Change for change's sake is not always a winning philosophy among users. Smartphones are far more advanced today, as they quickly have become the most important tool we carry around, both personally and professionally. In the recent past, when we left our home for the day we had to remember our wallet, keys and phone. Going forward, all we will have to remember is the smartphone. It will do everything. It will have our wallet, credit cards, personal information and pictures. It will open doors and start cars. If you prefer one smartphone over the other, chances are you will stick with the brand. It makes life a less complicated. It's about more than the smartphone you hold in your hand -- it's all the services and apps you use. Apps are made differently for iPhones orAndroid phones, each system has its own cloud services for backing up and storing data. There also are significant differences in the way the devices work. 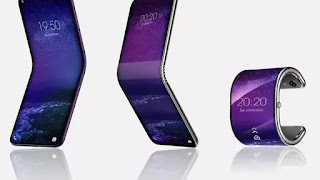 The iPhone is easier to use and more secure; however, it is not as flexible. Phones running Google's Android OS are much more flexible, and many love that. However, along with flexibility, Android has more security problems. Besides the phone itself, you also have to choose a carrier. The two with the most customers and biggest market share are AT&T Mobility and Verizon Wireless. T-Mobile and Sprint are smaller, but growing in the wireless-only space. Comcast Xfinity Mobile is new, and its customers seem to like it. Charter Cable TV wireless service is coming soon. Google Project Fi is available as well. As a wireless analyst, I regularly get all sorts of smartphones to evaluate and compare. Smartphone makers and networks want me to try their devices and comment on them. 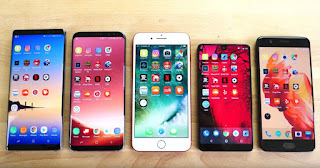 This gives me the opportunity to play with lots of phones and operating systems and see how they compare, and how they have improved over time. Size is one thing that has changed a lot over the years. The original one-handed size was perfect. The original iPhone and Android models were smaller, but much easier to handle and operate with one hand. However, many prefer the larger screen. That makes it easier to watch video, but today's phones are heavier and larger, so they stick out of your shirt pocket and are impossible to use with just one hand. Apple finally did the right thing: It reintroduced its smaller-sized device for those who want it. Users often find that switching between iPhone and Android is time consuming and messy, and it creates all sorts of headaches. My suggestion is to try them both, decide which you want, and then stick with it. Of course, if you like them both and need more than one smartphone, you can always get both! I know many who have both. However, the vast majority only use one device. If you are like most, you have a choice to make. So, which is your favorite, and why?